For a supportive shoe structure, the shoe manufacturers have been struggling with a well-balanced design that makes the wearer walk easy without having any kind of itching-twitching feeling in the foot muscles. 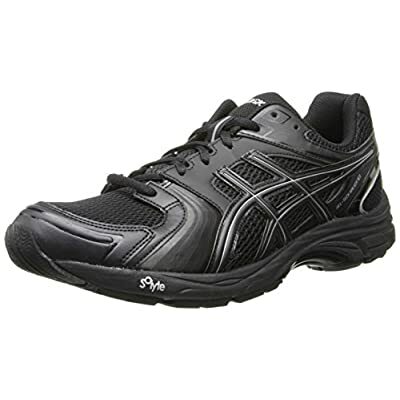 ASICS has succeeded in providing a lightweight solution for an easy walk through this shoe. This Men’s Gel-Tech walker NEO walker shoe provides all the valuable features that a regular walker may need. For the convenient and safe walk, the shoe provides a lot of unique features to make sure you have a top class experience when you are wearing this GEL tech walker shoe. The main materials of the shoe consist of synthetic rubber and synthetic leather. In addition to that, the mesh and sock lining covers the inner part of the shoe for a soft and sweat free accommodation of the foot. The upper cover of the shoe is composed of high-quality synthetic materials plus the mesh fabric to increase the breathability of the shoe. Further, the combination structure allows the foot to stay easy and offers no resistance while walking. The lace-up vamp is aided by sufficient cushioning on the inner side. The Biomorphic upper ensures easy fit with no hassles while wearing the shoe. The collar, tongue and the lateral sides consist of proper padding to provide comfort and proper support to all sides of the foot while walking. The cushioning on the rear side and toe area offer GEL cushion for better foot support and accommodation. The outsole is designed to support natural gait of the foot and keeps the foot safe in place no matter on which type of surface you walk; your feet would not slip and keep you stay balanced and easy all the time. The outsole is composed of high-quality synthetic rubber that is durable and provides a stable grip on the ground. The inner sole and lining features include meshing fabric lining along with a removable sock liner structure to make sure the foot stays easy and the moisture is being absorbed quickly, without creating any wetness in the shoe. Also, the inner sole provides proper padding and arch support for the foot. Through proper heel support and toe box and also the arch support provided through the well-designed midsole, the impact guidance system ensures easy walk with no pressure on the foot muscles. The Trusstic system offers a lightweight yet durable structure for an easy and fatigue free walk. For a sweat free inner structure, the Ortholite liner allows the shoe to absorb the moisture as it is produced to make sure your foot has no issues while walking. The DuoMax support setup offers durable and supportive insole for easy, well-supported walk. Further, the Solyte midsole offers lighter and more durable support to the middle arch region of the foot to keep the foot in place and supported in an easy posture. The materials used in the shoe offer a durable and long lasting performance and keeps the foot safe and easy. It is made of high quality and durable materials that would serve you for a long time. The shoe offers sweat free inner lining to keep you easy and sweat free while walking. It is easy to use and you don’t have to worry about its fitting. It provides a slip free outsole for walking safely. Proper gel cushioning and padding on all the inner sides and arch support through stress resistant midsole make this a perfect walking shoe. Some cramping and itching feelings are reported by some users whereas some of them have reported about the low-quality materials which are not as up to the mark as it has been described.